Science cafés and science pub nights are a growing movement in many cities, offering a more casual setting for science outreach and allowing interested public to directly converse with researchers. 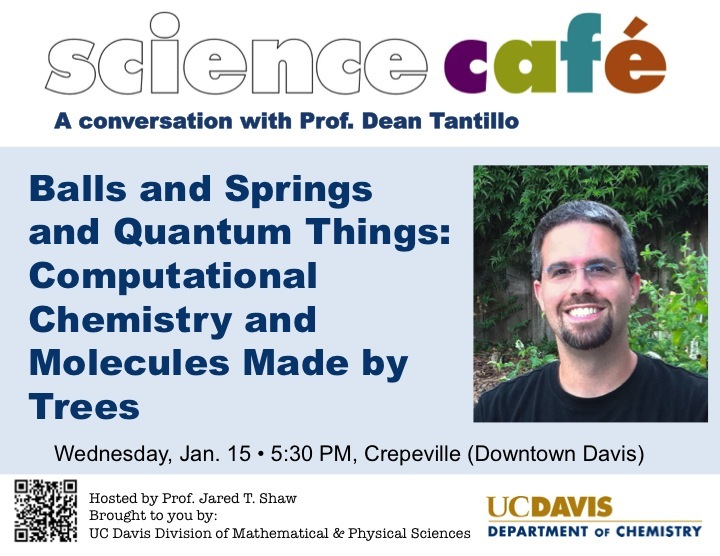 The Davis Science Café series is organized by Professor Jared Shaw, with support from the National Science Foundation. For updates, visit http://www.facebook.com/groups/davissciencecafe.